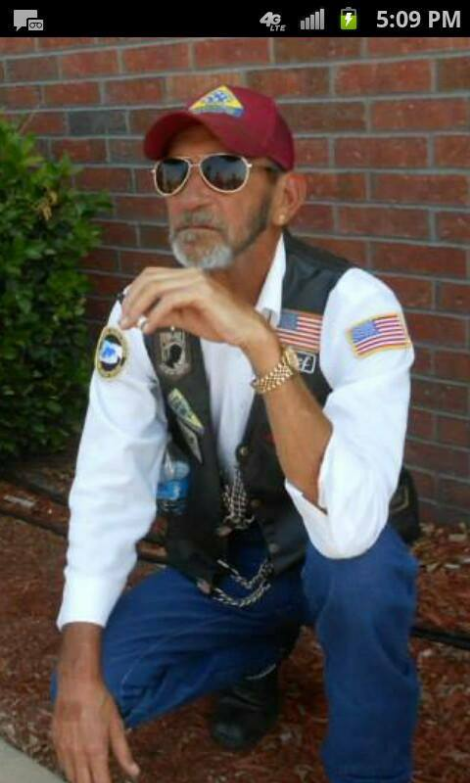 The family of John M. Jefferson Sr., USMC Veteran, has requested the Patriot Guard Riders to stand a flag line at his funeral service. Mandatory briefing: 1:15pm. You must attend briefing to accompany the hero and family to the Cemetery. Weather: Temp Low 49 High 68, chance rain. Services will be held at Prater-Lampton-Mills-Coffey Funeral Home, 216 E Jackson, Hugo,Ok at 2:00pm. We will accompany the hero and family to Mt. Olivet Cemetery for interment. The USMC Honor Guard will conduct Military Honors. Mission complete: I would like to thank everyone who came out today to honor Mr. Jefferson. 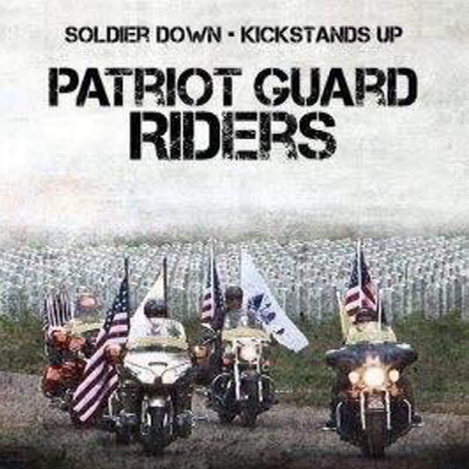 We had 5 patriot riders on 2 bikes and 3 cages present to stand in his honor. Upon arrival to the Funeral Home we staked out flags around the entry way. After the briefing we stood the flag line as the family and friends arrived for the service. After the service we stood an honor line as the hero was loaded into the coach. We then accompanied the hero, family and friends to Mt. Olivet Cemetery where staked flags awaited our arrival. We stood another honor line as the hero was moved to the pavilion. The USMC Honor Guard conducted Military Honors and presented the flag to the wife of Mr. Jefferson. The PGR invocation was also presented to the wife and the PGR plaque was mailed direct. The family and friends were very appreciative of the PGR presence and thanked us all for being there. You all “Stood Tall and Silent” as we honored this hero and most of all thank you Mr. Jefferson for your faithful service to our great nation and to the family and friends for allowing us to honor him.